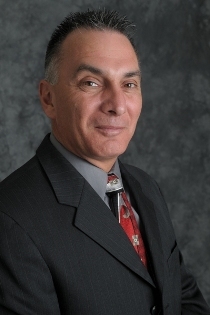 President & Founder, Counsellors Title Agency, Inc.
Ralph began his business career as a title searcher in 1983. After founding Counsellors Title Agency in 1996, his hard work and collegial enthusiasm grew the title/escrow agency into one of New Jersey’s premier property title agencies, writing thousands of policies for home owners, businesses and institutions since inception. He is a lifelong New Jersey resident and businessman. With over 25 years experience specializing in title insurance and title research. Ralph has built his repertoire of business tools to include management, commercial and business development. Counsellors Title Agency [CTA] maintains an outstanding customer retention record of over 95 percent. Today, CTA’s impeccable track record over the last 19 years is one that hundreds of attorneys, loan officers and realtors have come to rely.